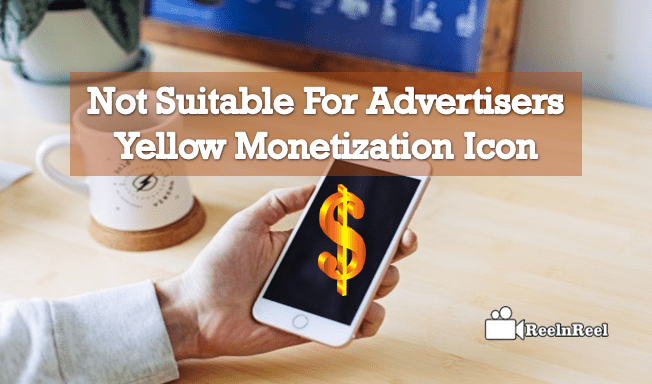 Did you find ‘Yellow Monetization Icon’ at your videos? Don’t you understand what does it mean? Is your channel revenue is being flooded with ‘Yellow Dollar’? When the content of the video that has been uploaded to the YouTube channel it will be assigned a Yellow Monetization Icon at the video if it is not suitable for the advertisers. That means this video is not appropriate to participate in monetization. Most of the creators will completely rely on video monetization through which the revenue of the channel can be increased. The intension of all the creators is to generate the content that is most engaging and in turn eligible for monetization by reaching the advertisers that help in elaborating the brand name. Cent percent of creators are creating the video content just to merge them with video monetization without considering the YouTube monetization policies and Advertiser friendly guidelines. Though your video is fully playable and leads to earning subscriptions from YouTube, your content might not be suitable for many advertisers that leads to no ads or limited ads. What will be the reason to happen like this? How to overcome Yellow Monetization Icon? Most of the advertisers will not step ahead to place the ads in the video that are not relevant to their brands, i.e., if it is controversial, sexually suggestive and contains bad language, etc. Just log in to your YouTube account and click on video manager. The videos having 1k views in 7 last days are eligible to push in a manual review. YouTube will review your video when it reaches that threshold and give you a final decision, usually within a week will pop. Now to go to ‘videos’ option below the video manager. Then you can observe ‘Review Requested’ at the video which is assigned to the yellow dollar sign. The expert will be sent by your appeal to review your request and makes the decision which can’t be appealed. It does not fulfill the guidelines of advertiser-friendly content. It is not considered by the YouTube ad automated system that it is suitable for all brands. Before getting the yellow dollar signs just check the monetization status when the video is ready to upload to your channel. This tactic might work as the barricade to stop Yellow Monetization Icon that diminish the revenue of the channel. It will be the perfect solution to appeal for review request for the particular video.